Cardiovascular Effects. Epidemiological Studies in Humans. Possible associations between exposure to plutonium and cardiovascular disease have been examined in studies of workers at production and/or processing facilities in the United Kingdom (Sellafield)…….. within a cohort of Sellafield workers morality rate ratios for plutonium workers were significantly elevated for deaths from circulatory disease and ischemic heart disease . …. the Mayak studies provide evidence for increased risk of cancer mortality (bone, liver, lung) in association with increased internal plutonium-derived radiation dose and/or body burden, with approximately 4-fold higher risks in females compared to males……. Risks of mortality and morbidity from bone and liver cancers have also been studied in Mayak workers ….. Increasing estimated plutonium body burden was associated with increasing cancer mortality, with higher risk in females compared to males…..
U.K. Atomic Energy Authority and Atomic Weapons Establishment Workers. 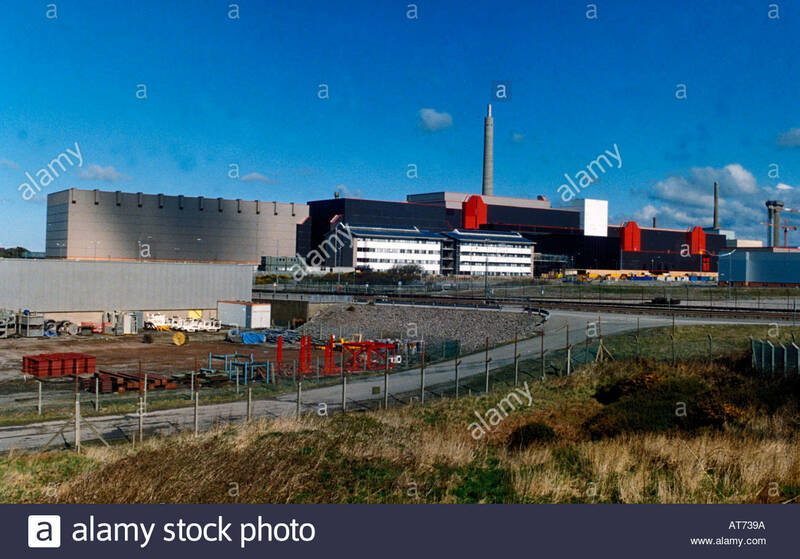 ………..The mortality rate ratio was significantly elevated for breast cancer and cerebrovascular disease in a cohort of female Sellafield workers identified as plutonium workers…….. Comparisons of mortality rates between plutonium workers and other radiation workers yielded significantly elevated mortality rate ratios for all deaths , all cancers , breast cancer, circulatory disease , and ischemic heart disease. https://www.healio.com/endocrinology/thyroid/news/in-the-journals/%7B33ecf315-c68e-474b-aeda-81c5271d2371%7D/high-iodine-distribution-low-intake-among-children-after-fukushima-nuclear-accident Despite a high distribution rate of stable iodine after the 2011 Fukushima nuclear accident in Japan, only 63.5% of parents reported children took the tablets, with many citing safety concerns in questionnaires, according to findings published in The Journal of Clinical Endocrinology & Metabolism. Amazon planning to run a “global brain” for the Pentagon. To understand the implications of JEDI, we must realize that the information being gathered and sorted will inevitably be used for the targeting and killing of not only opposing government-based military forces, but also nongovernmental individuals and groups who are viewed as political or potential military threats by the US. The transfer of a massive amount of military information into a privately owned and built cloud, as will happen with the creation of JEDI, raises the possibility that the owner or owners of that cloud will — because of their knowledge of the cloud structure, capabilities and content — become more powerful than military and elected officials. Dosed by Chernobyl and atomic tests, reindeer and their herders are carrying a heavy nuclear burden, By Linda Pentz GunterFallout from Soviet atomic bomb tests over the Arctic Ocean, compounded by the 1986 Chernobyl nuclear power plant explosion, have left reindeer too radioactive to eat, even today. That may be good news for the reindeer, sort of. But it’s bad news for the indigenous Laplanders in Finland and Sami herders in Norway, who carry high levels of radiation in their own bodies as well as in the reindeer on which they depend for sustenance and sales. UNIVERSITY OF NEW SOUTH WALES A global study has found a paradox: our water supplies are shrinking at the same time as climate change is generating more intense rain. And the culprit is the drying of soils, say researchers, pointing to a world where drought-like conditions will become the new normal, especially in regions that are already dry. “We believe the cause is the drying of soils in our catchments. Where once these were moist before a storm event – allowing excess rainfall to run-off into rivers – they are now drier and soak up more of the rain, so less water makes it as flow. The findings were made over the past four years, in research that appeared in Nature Geoscience, Geophysical Research Letters, Scientific Reports and, most recently, in the American Geophysical Union’s Water Resources Research……….. In urban areas, the reverse will be needed: flooding is becoming more common and more intense. Global economic losses from flooding have risen from an average of $500 million a year in the 1980s to around $20 billion annually by 2010; by 2013, this rose to more than US$50 billion. 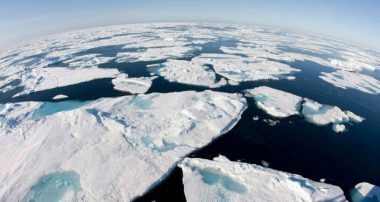 The Intergovernmental Panel on Climate Change expects this to more than double in the next 20 years as extreme storms and rainfall intensify and growing numbers of people move into urban centres. How France multiplies hazardous nuclear waste. 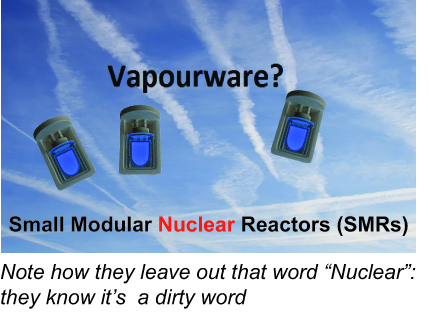 Reporterre 11th Dec 2018 Claiming to ” recycle ” used nuclear fuel, the reprocessing industry complicates the management of waste by increasing the amount of plutonium and hazardous materials. Most countries engaged in this dead-end way come out … but not France. chimneys, dumped at the end of a pipe buried in the Channel. radiological impact of all civilian nuclear installations in Europe ” . At Washington’s Hanford nuclear site, failing infrastructure and make-do plans as the West prepares for a new round of radioactivity. High Country News, Heather Hansman, Dec. 10, 2018, Fhe Hanford nuclear complex in eastern Washington lies in a green-gold sagebrush steppe, so big you can’t see the edges of it and shimmery in the summer heat. The only landmarks are low-slung buildings on the horizon and ancient sand dunes scrubbed bare when the glaciers melted. There’s almost no trace that this is the biggest nuclear waste dump in the country. The scale of nuclear waste is like that: sprawling out into the metaphysical distance, too big for the human mind to hold. Over the ridge north of us, the Columbia River curves around the site, appearing motionless until you get close and see how much water is pushing past the banks. Over the past year, a series of accidents has put the spotlight on Hanford, its aging infrastructure and the lack of a long-term solution. In May 2017, part of the Plutonium Uranium Extraction Facility, which holds rail cars full of solid waste, collapsed. Later that year, workers tearing down the Plutonium Finishing Plant were contaminated with plutonium and americium particles when an open-air demolition went wrong. In December, others inhaled radioactive dust at the same site, halting work indefinitely. 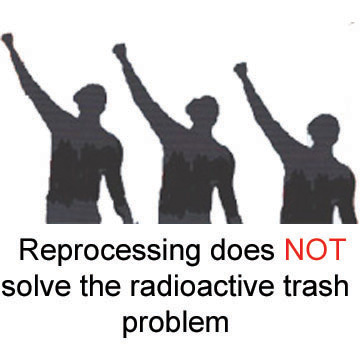 Then, in June of this year, the Department of Energy (DOE), which is responsible for the site, released a proposal to reclassify some of the high-level waste as less toxic, with what’s called a “Waste Incidental to Reprocessing” evaluation, so they could clean it up sooner and more cheaply. Across the country, big energy companies are considering a move from coal to nuclear-fueled plants even as sites like Hanford remain mired in many-decades-long cleanups of radioactive landscapes. As the possibility of more waste looms, Hanford has become a flashpoint for people who fear that there’s no safe way to deal with our nuclear legacy. In this era of climate change and large-scale environmental degradation, the site raises the question: Can we ever clean up the mistakes of our past? ………….The Government Accountability Office estimates cleaning up Hanford could total more than $100 billion. Since 1989, when Hanford was first designated as a Superfund site, 889 buildings have been demolished, 18.5 million tons of debris have been put in controlled landfills, and 20 billion gallons of groundwater have been treated. With three decades of work, the scope of the problem has been greatly reduced, but the really toxic stuff is still on site. The groundwater beneath Hanford is never going to be clean enough to drink, thanks to a cocktail of chemicals: strontium-90, which deteriorates marrow in the bones of humans and animals and takes 300 years to break down; hexavalent chromium, which mutates salmon eggs; and technetium-99, which dissolves like salt in water and has a half-life of 211,000 years. The 586 square miles of sage still hold the 324 Building, home to highly radioactive nuclear containment chambers called hot cells, less than 1,000 feet from the Columbia and right across from the town of Richland, where many of the Hanford workers live. 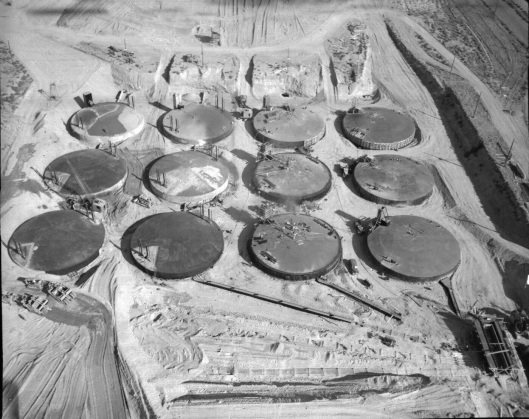 In the central plateau, where the ghostly vitrification plant stands, the Waste Encapsulation Storage Facility holds 1,936 radioactive cesium and strontium capsules currently kept in a glorified swimming pool. If an earthquake were to crack the pool, or the water supply were to run dry, those isotopes, physically hot and linked to bone cancer, would spread quickly. The knotty heart of the cleanup is the tank farm, on the central plateau, where 56 million gallons of high-level waste — the official term for the long-lived radioactive material leftover from plutonium production — sit in 177 underground tanks. Each tank holds a unique mixture of sludge, solid, supernate liquid and crusty saltcake — a witch’s brew of 1,800 different chemicals that are buzzing, off-gassing and breaking down. Sixty-seven of the 149 carbon-steel single-shell tanks and one of the newer 28 double shells have leaked, but the Energy Department refuses to build new ones, and every year the timeframe for cleanup gets longer. If you think it’s nearly intractable, that’s because it is,” said Randy Bradbury, the communications director from Washington’s Department of Ecology, one of the three parties that regulates the site. “The biggest mind-boggling thing about it is that we’re all going to be dead before this is cleaned up.” That timespan challenges our decision-making, which is much more suited to responding to accidents than to multigenerational cleanup projects. Philosopher Timothy Morton categorizes nuclear weapons, waste and explosions (not to mention climate change and the longevity of Styrofoam cups) as “hyperobjects” — real-life objects that are too large in time and space for humans to fully grasp. How, then, can we calculate all their costs? The Department of Energy spends billions of dollars on the cleanup each year; next year, it has a $2.4 billion budget. But those billions are barely enough to keep the wheels on, and the Government Accountability Office estimates that the last 15 percent of the cleanup could be as expensive as the first 85 percent, which has already taken 30 years. Maintaining the tanks alone costs $300 million a year, and the minimum amount needed to keep things safe increases as time goes on and infrastructure ages. There currently isn’t enough federal funding to meet cleanup benchmarks, and no money has been allocated for accidents like the tunnel collapse that contaminated workers. At the current rate of funding and cleanup, the DOE’s Richland Office, which manages most of the site, falls another year behind schedule every two years, and the Office of River Protection, which oversees the tank waste, slips back a year every three. This year, President Donald Trump proposed slashing the budget for Hanford cleanup by $230 million. ….….. Some people believe a fast response may be safer than a slower, more thorough response. “Until all the waste is out of those tanks, it’s almost inevitable that more of them will leak,” Bradbury says. The tanks, built starting in the 1940s, were designed to safely contain waste for up to 40 years on the assumption that we’d have figured out a long-term plan by then. But we haven’t, at Hanford or anywhere else. High-level waste was never supposed to stay on site permanently. The waste from the tanks is intended to be vitrified, turned into glass rods, then sent to a federal repository, where it would sit, isolated, forever. But that repository doesn’t exist yet, and it’s possible that it never will. The Nuclear Waste Policy Act of 1987 designated Yucca Mountain, Nevada, as the spot to store the waste. Despite $15 billion spent studying the site, and a growing cost to hold the waste at other sites, plans for Yucca have been in limbo for decades, in large part because of opposition from Nevadans, including former Senate Majority Leader Harry Reid, D-Nev., who don’t want the waste transported through or stored in their state. A bill to reopen Yucca passed the U.S. House of Representatives as recently as May, but failed in the Senate. “We’ve made stuff that will be dangerous for millennia and we deal with it in two-year congressional cycles,” said William Kinsella, a North Carolina State University professor whose research includes nuclear weapons cleanup. “We don’t want to make hasty decisions, but it’s a chokepoint for nuclear constipation.”That has created expensive and dangerous blockages throughout the nuclear waste management system. Without a place to send waste, the cleanup at Hanford has no real endgame. Because of the long-term impossibility, the Hanford Advisory Board — a coalition of tribal members, community volunteers and government workers who advise the agencies that manage the site — is constantly worried that the funds might dry up while the tanks are still full. The fear of slashed funding, and the cleanup’s long delay, is part of what drove the Department of Energy to consider grouting. I ask Price what he thinks the worst-case scenario might be, and he says there are two things that keep him up at night. The first is a dramatic natural disaster, such as an earthquake or a fire, that would damage the fragile infrastructure and cause a massive spill. The site sits at the drought-prone edge of the Cascadia subduction zone, so both are likely. The week before our visit, a fire burned 2,500 acres here, and we can still smell the charred sage. But Price’s second fear is about the equally insidious threat people pose to themselves: A lack of long-term protection and the erosion of care. He says the paradox of Hanford is trying to convince people that the site is safe now, but that in 500 — or 1,000 — years, it might not be, and that we have to make decisions with those unknown risks in mind. New nuclear power plants, prolong existing ones – to solve global warming? 3.3. Why Nuclear Power Represents an Opportunity Cost In evaluating solutions to global warming, air pollution, and energy security, two important questions arise are (1) should new nuclear plants be built to help solve these problems, and (2) should existing, aged nuclear plants be kept open as long as possible to help solve these problems? To answer these questions, the main risks associated with nuclear power are first examined. The risks associated with nuclear power can be broken down into two categories: (1) risks affecting its ability to reduce global warming and air pollution and (2) risks affecting its ability to provide energy and environmental (aside from climate and air pollution) security. Risks in the former category include delays between planning and operation, emissions contributing to global warming and outdoor air pollution, and costs. Risks in the latter category include weapons proliferation risk, reactor meltdown risk, radioactive waste risk, and mining cancer and land despoilment risks. These risks are discussed, in this section. ………..